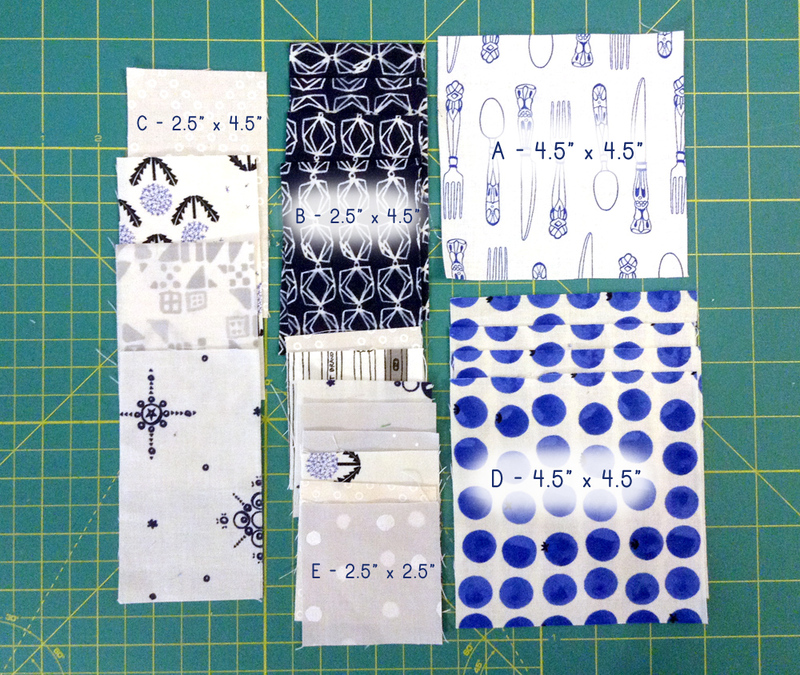 A - (1) 4.5" x 4.5"
B - (4) - 2.5" x 4.5"
C - (4) - 2.5" x 4.5"
E - (8) - 2.5" x 2.5"
D - (4) 4.5" x 4.5"
Sew (1) B and (1) C piece together along the 4.5" edge and press seam towards the darker fabric. Repeat with the remaining B and C pieces. On the wrong side of your E pieces, mark a diagonal line. Follow the steps under "creating the X branches" according to this tutorial with your D and E pieces. 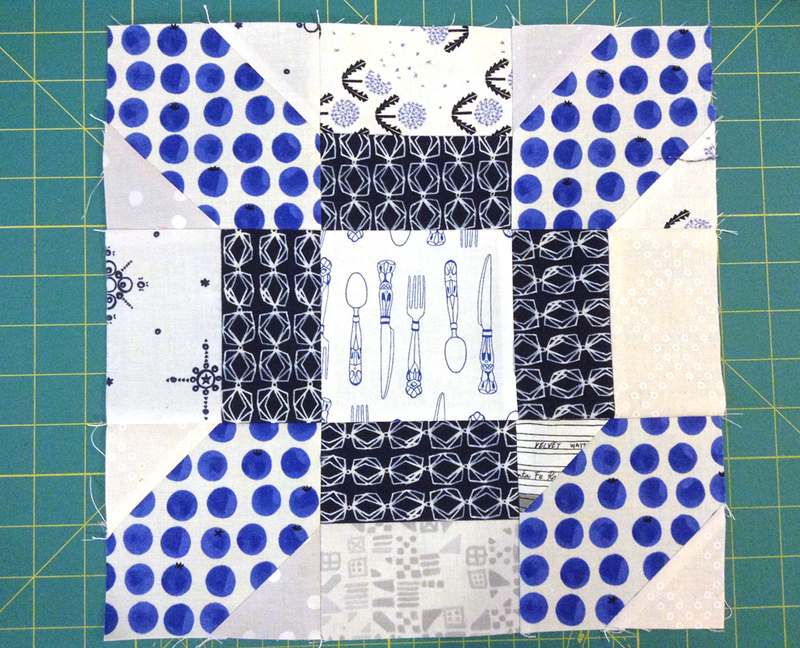 What we're supposed to do is lay these (9) 4.5" squares out as illustrated and sew them all together. Instead, make some mistakes. Flip a block around, spill your drink on it, whatever. Whatever you do, make sure it would make the Quilt Police beat you with those scary ouchy sticks. Don't you know that you're a disgrace to the quilting tradition?! 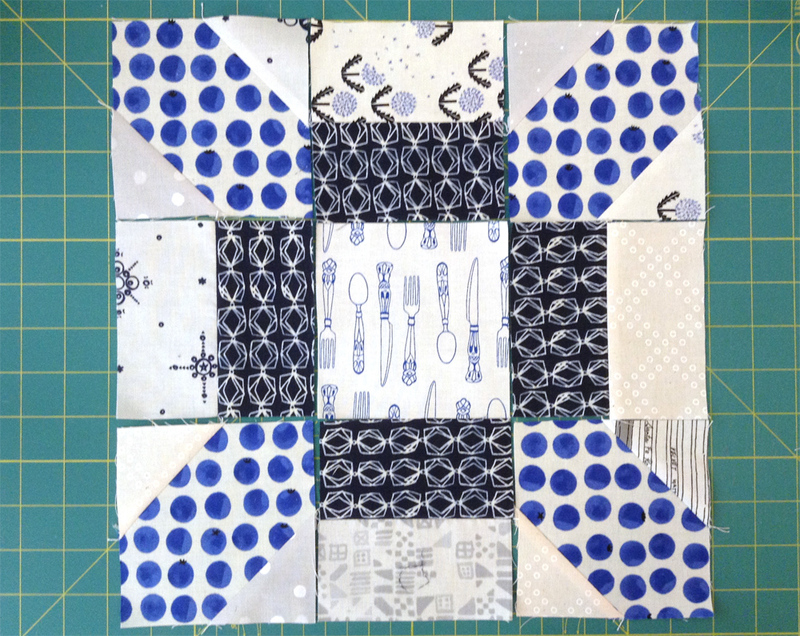 When you're done, your block should measure 12.5" square.